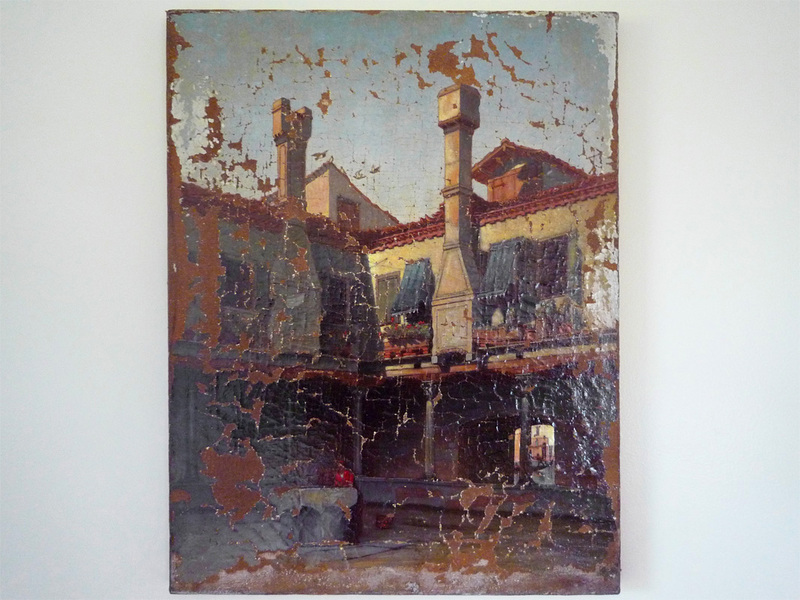 Offering a lovely painting of a Venice scene. Painted by a well trained artist, as displayed by technique, composition and colour. The details are finely painted and the use of colours are sharp and brilliant. 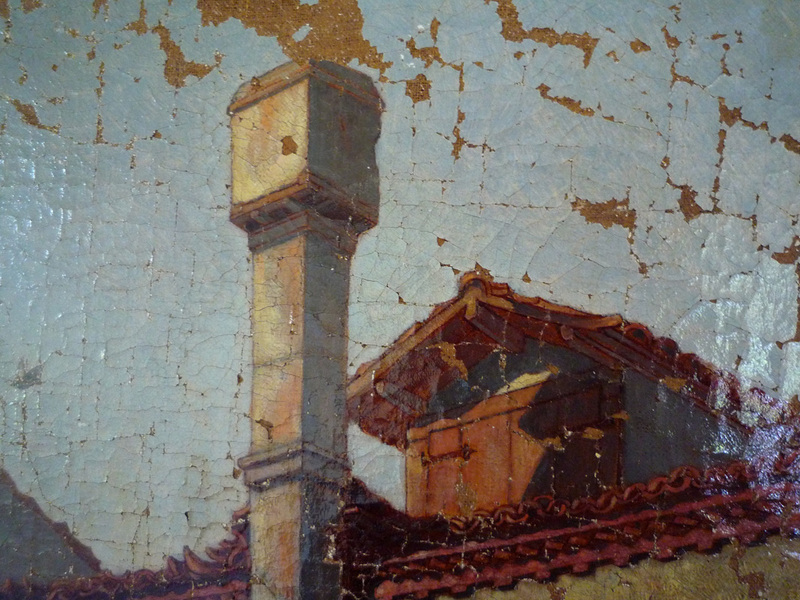 It’s a rather old painting with some damage, but still shows many of the details. I consider it Shabby Chic! There are no rips to the canvas and the stretcher is strong. The painting has been lightly cleaned and varnished. 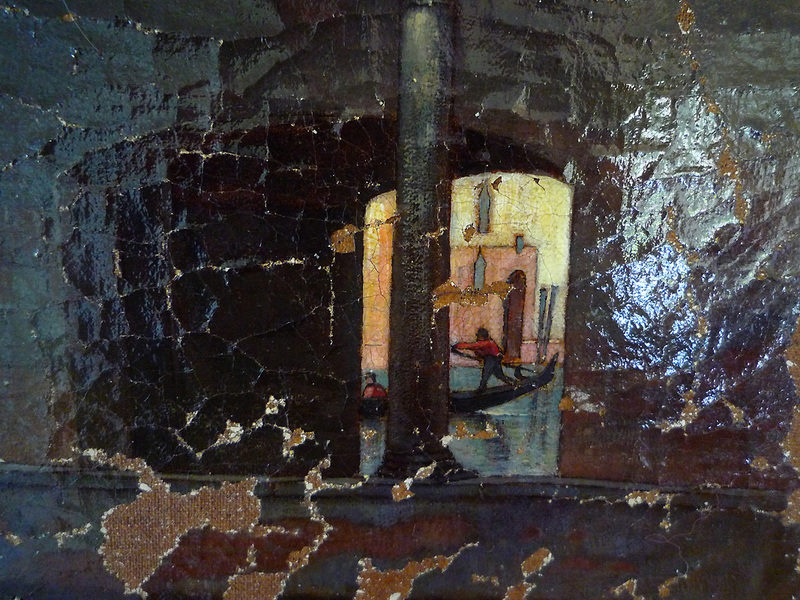 The details about the painting are present on the back of the painting, with a title, name of artist and location. 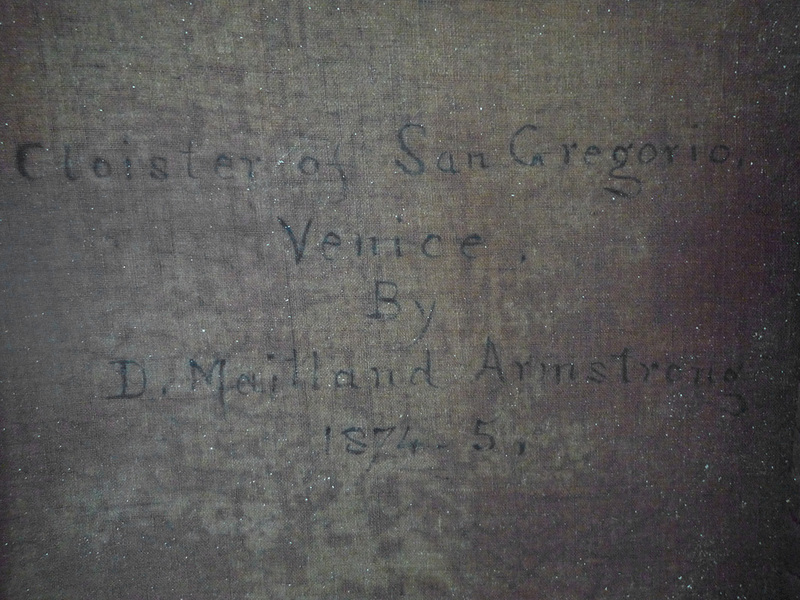 The lettering is likely original to the painting and appear to be written in an old hand. The painting will ship by UPS. Insurance for the full amount of the purchase price will be added to your invoice. There is a $10 handling fee, which includes proper packaging and a box specifically made for shipping fine art. Buyer responsible for all shipping and handling fees.